This item includes twelve 23"x31" MSJ aluminum frame printing screens, each featuring a white screen with a mesh count of 160. 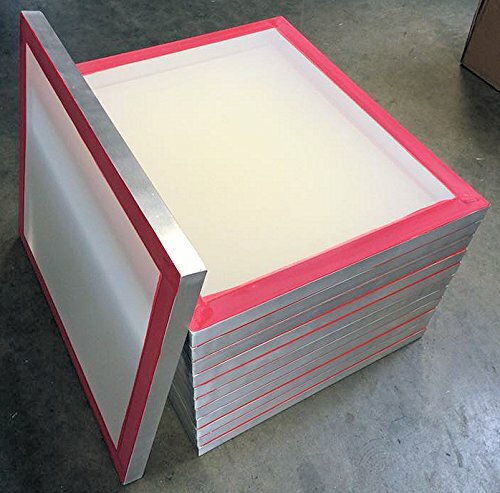 MSJ screen printing frames are hand-cut, welded for a water tight seal, and ground to ensure flat and smooth edges. Each frame is also made with the highest grade of aluminum and has meticulously woven mesh that is pneumatically stretched to industry standards, making them very durable and reliable.